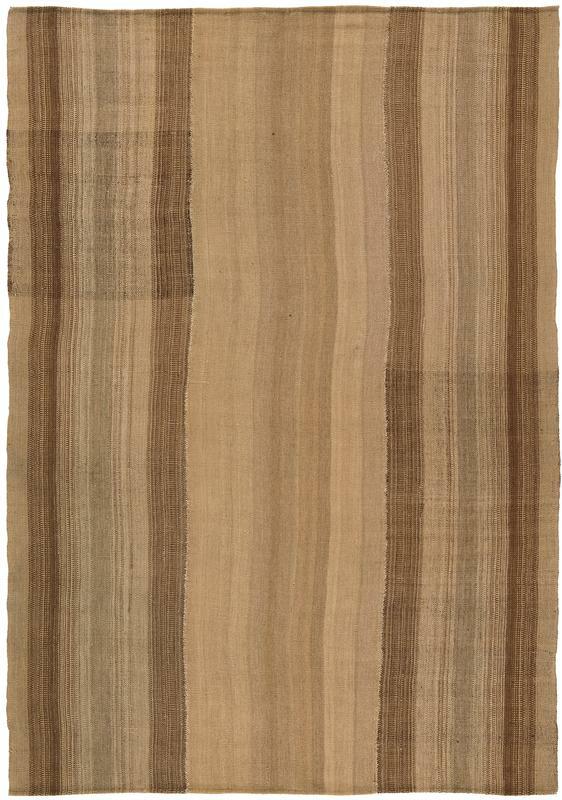 An almost infinite array of fine vertical pin stripes in unfold across the field of this marvelous antique Lori Pelas. For the most part, these finer stripes are clustered by tone into darker and lighter vertical bands whose arrangement is actually quite calculated. About a central darker cluster of tan bands, each half is then arranged around two well-spaced brown bands. Two darker rectangular patches in the upper left and lower right add a further note of approximately inverse symmetry to the overall design.